At Bark we’re serious about helping parents protect kids online. One of the ways you can do this is by setting up the free parental controls available on your child's Android device. 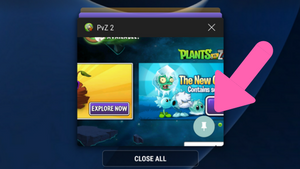 With these controls, you know what they can and cannot access on their device. Below is a non-exhaustive, but fairly comprehensive, overview of what you can do to your child’s Android device to set them up for a positive and responsible experience. We provide tips (and screenshots!) on the varying levels of restrictions so you can make the best decision based on the maturity level of your individual kids. 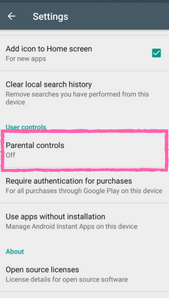 Setting up controls on your kid’s Android device can feel like the wild wild west of parental controls, so we’re here to help! Below are instructions for a Samsung Galaxy S7 Android device, and though other Android devices may have slightly different ways of presenting these options, you can apply these parental controls to any Android device. 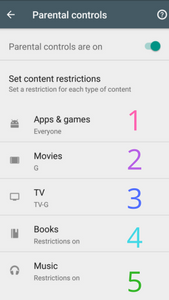 If you know what type of restriction you are looking for, an internet search for [Android type device] + [specific setting] should get you started. Your Settings app will also have a search option, and you can search for the control you want to set up so that it will take you right to that specific screen. Set up a unique identifier for each device, but do not use birthdays or simple number sequences, and avoid common passcodes and common swiping patterns. Make sure this is not the same passcode used for Parental Controls or other household known passcodes. 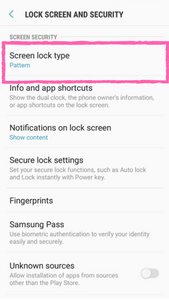 Go through each of the options on the Lock Screen and Security settings to further protect the device. For example, if you click on Secure Lock Settings you can have the phone lock immediately after it turns off, lock instantly with the power key, and/or set up an automatic factory reset if the passcode is incorrectly entered 15 times. Download Google's Find My Device app onto your child's device and follow the initial set-up prompts. For really young kids who use your Android phone to just access certain apps, you can lock that app to the screen and block access to other apps, phone calls, and texting. But first, you have to enable this feature. 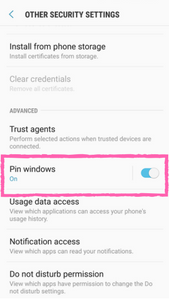 To enable, go to Settings > Lock Screen And Security > Other Security Settings > Tap Pin Windows. To use, open up an app, click the Recents screen (see below), and tap the Pin icon (the thumbtack) at the bottom right hand side of the app you want to pin, and click Start. To Unpin, press and hold the Back and Recents buttons and draw your unlock pattern. For young kids, consider getting them an Android tablet instead of a phone. They won’t be able to text or call anyone, but you can set up parental controls on a tablet by creating a restricted user account for them. Press OK to confirm you want to set up the new user account. Then, tap on Set Up Now, and follow the prompts. This is where you can choose which apps can be accessed by the restricted account. Some apps are automatically blocked, others require toggling to turn them on/off. Some restricted profiles will have a Settings or gear icon which allows even finer tuning of the restricted profile (like allowing internet searches or not). Make sure that your adult user profile has a passcode on it that your child does not know. 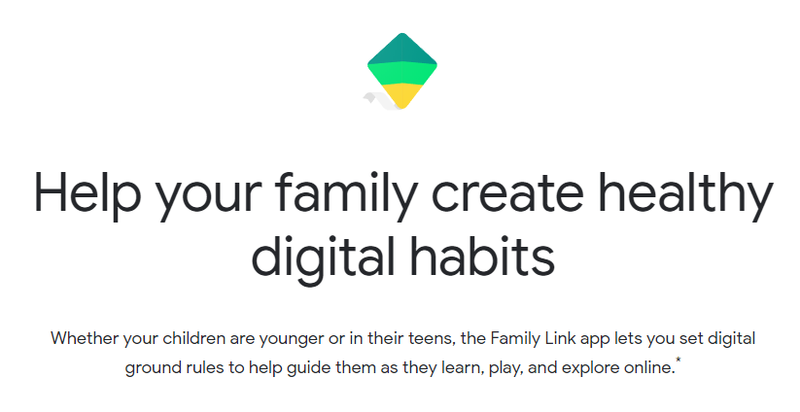 Recently, Google released a new parental control suite for parents with children who are under the age of 13 called Google Family Link. 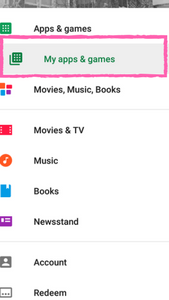 Once you set up a connected Google account for your child, you can set in place content filters, manage screen time, and view activity reports on the apps your child is using. But what about all those coins and Pokeballs? If you want to restrict your child from accidentally (or purposefully) buying in-app items to play a game, there’s a way to do that. 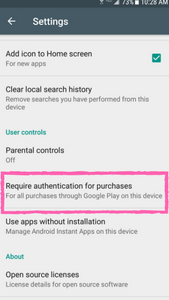 To enable, go to the Google Play Store App > Menu* > Settings > Require authentication for purchases. 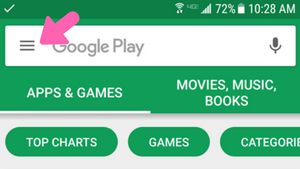 *The Google Play Menu can be found by pressing on the three horizontal bars in the top left hand corner. You can choose all purchases through Google Play on this device, Every 30 minutes, or Never. Then, enter your Google password. Now you can let your kids play their favorite game and worry less about them racking up a large credit card bill. You’ve given your kids a new Android phone or tablet, but you haven’t given it to the kid who finds it under the bus seat where it was left and lost. Put a passcode on their device that you and your child will know, but others won’t – and remind them not to share passcodes with friends. Set up a unique identifier, but do not use birthdays or simple number sequences, and avoid common passcodes and common swiping patterns. Below we are going to discuss how to set up Content Restrictions so that your child can’t download future apps or purchases outside of the rating level you have decided. 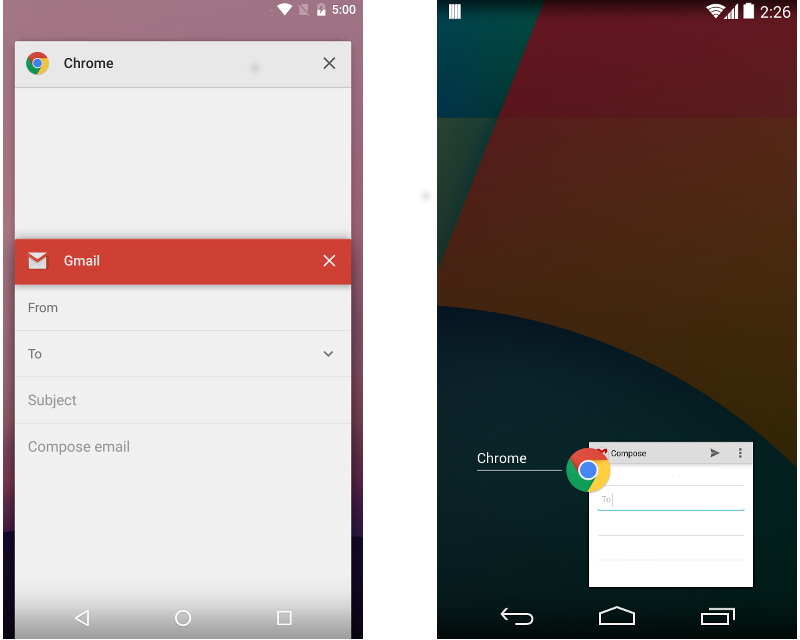 However, that only affects future apps and not current apps already on the phone. So it’s time to explore, confirm, and delete apps as necessary. This is a list of all of the installed apps on your child’s phone. Scroll through the list and look up any app you don’t know, check out the ratings, look at reviews and search for it on Common Sense Media. Uninstall any app you do not want your kid having on their phone. It is natural for kids to explore different apps in the Google Play Store, but their frontal cortex is not completely developed yet, so they often take risks without understanding the real consequences of accessing and using certain apps. Dating Apps: Tinder, Grindr, MeetMe, Match Dating, etc. Yes, teens are using these sites too. Gambling Apps: Bovada Casino and Sports, SportsBetting, BetOnline Sports, etc. The average starting age of people who have a gambling problem is 10. Read more about kids and the risks of gambling here. Anonymous Chatroom Apps: Omegle, Chatroulette, Kik, Whisper, Yik Yak, Sarahah, tbhtime etc. Apps with the ability to have anonymous chats or content (and some of them with strangers) are a huge potential for unsafe contact and content (pictures of genitalia for example). Delete ‘em. Hidden Apps: Check out our piece on Hidden Apps, what these look like and why they are so risky. The Hidden Apps have special passcodes on them, so if you find one, talk to your child about why they are unsafe and not allowed, and then work with them to uninstall the app from the phone. Now that you've deleted any troublesome apps, if you want to restrict your child from accidentally (or purposefully) installing inappropriate apps in the future, there’s a way to do that. Now it’s time to turn on Parental Controls and follow the prompts. You are going to need to set up a pin or passcode. 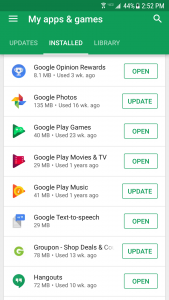 Set a unique identifier for each Google Play Account, but do not use birthdays or simple number sequences, and avoid common passcodes and common swiping patterns. Do not use the same passcode as the one to the phone or a household passcode they may already know. Now that you have your Parental Controls turned on, a passcode in place, and unwanted apps deleted, it is time to decide what you are or are not going to allow your child to have access to under Set Content Restrictions. Tap on each type of content and make decisions based on your knowledge of your child. The 5 content types include: Apps & Games, Movies, TV, Books, and Music. Either click the circle next to the setting you want to “allow up to” for rating-based permissions. The ratings go from most restrictive to least restrictive. For Books and Music check the box to restrict adult content. Click “OK” at the prompt. Remember to Save the new setting for each content type. Go back to Home when you are done configuring the settings. Now your kid can’t download an app that is rated above the level of your permissions setting. However, not all apps are rated, so it is a good idea to have an open and honest conversation with your kids about what types of apps are allowed and why. Additionally, if they already have apps on their phones this setting will not affect those apps, only future downloads. See above for how to delete inappropriate apps. There are other places where you can purchase and download apps that are not Google Play. But don’t worry, you can also restrict an Android device so that it can only download from Google Play. 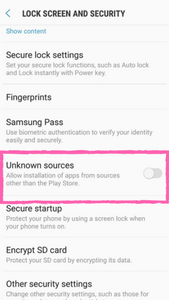 To enable on the device (not in Google Play) go to Settings > Lock Screen And Security > Unknown Sources and toggle it to off (so that it is grayed). You can control and limit cellular data usage on your kid’s Android phone. Decide how much data your kid is allowed to use, when to alert them they’ve almost used it up, and put your plan in place. If you are concerned younger kids wont be able to understand data usage, you can put the Android on Wi-Fi use only. This will keep the phone from being able to use the Internet, email or other apps unless the phone is connected to Wi-Fi. and click Mobile Data to Off (so that it is grayed). Click OK. If you want to give older kids more responsibility around cellular data, you can choose to limit their data usage instead of turning it completely off. To enable, go to Settings > Data Usage > Mobile Data Usage > click Settings gear icon on top right hand corner. 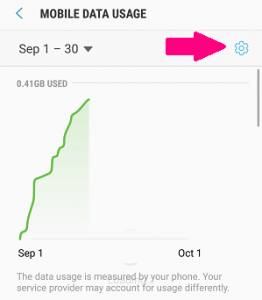 On the next screen toggle Limit Mobile Data Usage to ON. 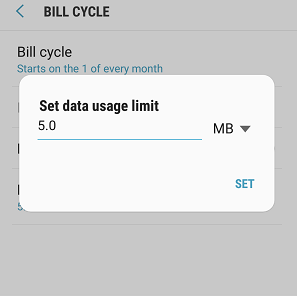 Delete the default limit of 5.0 GB and set a data usage limit for the number of GB you determine is best for your child and cellular plan. Help your kids stay within their usage limits by setting up an alert to let them know how much more they have to use. 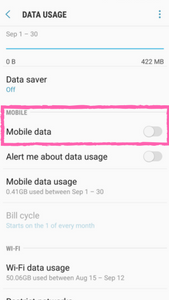 To enable, go to Settings > Data Usage > toggle Alert Me About Data Usage to ON. Press OK. If you want to change the default GB number to alert on, click the Settings gear icon on top right hand corner. 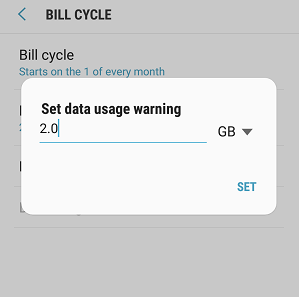 Delete the default limit of 2.0 GB and set for the number of GB you determine is best to alert your child.